At Long Last, An Official Region 2 Release! 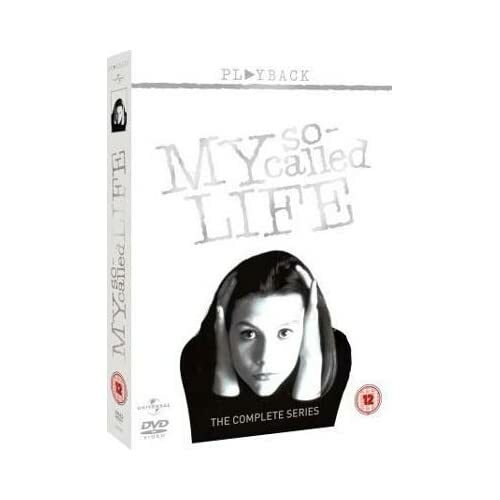 "My So-Called Life" was released on DVD in Germany and the UK. Other countries may follow. Yes, i was surprised too, and pleasantly so. Interesting. Play.com lists it too now. But I'm still skeptical. IIRC this is already the third R2 announcement in the past 5 years, everytime from another distributor. Nothing ever materialized. But let's wait and see ... we'll know more in May. Universal Pictures Video is the distributor according to amazon.com. Their website is still empty. Amazon.co.uk is not in the habit of blowing smoke. I find it encouraging that it's 'already' got its own ASIN. Troy wrote: Amazon.co.uk is not in the habit of blowing smoke. Except for that one time in August 2003, when they "accidentially" listed an upcoming MSCL R2 release. Twice. . It also had an ASIN and there was an option to pre-order. Regardless of whether this is for real (which i think it is), i'll have to make do with my bootleg copy for now. It's the one with the 5 discs + 1 bonus disc in the thicker keepcase. The picture and sound quality is as good as that of the original, it's also got the same menus and the English subtitles, but the discs are a disaster waiting to happen. I spilled a few drops of tap water on the 'label side' of a couple of them, and it left clearly visible white (or whitish anyway) stains that are impossible to get rid off. Like it was acid or something. Just plain weird. Troy wrote: I spilled a few drops of tap water on the 'label side' of a couple of them, and it left clearly visible white (or whitish anyway) stains that are impossible to get rid off. Like it was acid or something. Just plain weird. That's because those discs are usually just standard DVD-Rs with a printable surface (for inkjet printers). The bootleggers just buy the blank discs in large quantities and burn them "at home" with standard DVD burners. You can smear the self-made printing pretty easily because the inkjet compatible surface of those cheap discs is not always water-resistant. If it will be release in R2, what are the chances of improved picture quality? Now there's an image available for the cover, seems like it's really going to be released then. And as posted in this french thread, there might be a french R2 edition coming this fall too. Of course now I'm also hoping for a german edition... but no signs so far. Sascha (sab) wrote: And as posted in this french thread, there might be a french R2 edition coming this fall too. On French DVD´s a German audiotrack is rather common... If there is no german release (what I doubt), there will be a german audiotrack! Is there french sub-titles on uk edition ? Amazon.co.uk has now a trailer online for the re-release. It's basically a new cut of the opening titles. So far only English audio tracks confirmed. Saw the below in London's metro newspaper this morning - the biggest free morning paper in london I think, so someone is spending some cash on the release. Saw that it is ranked at number 40 in DVD on amazon.co.uk which is good as well! !